A few years ago I decided to start a gratitude journal. It seemed like a simple idea at the time, but it turned out to be a real eye-opener, especially on days that there didn’t seem to be all that much to be thankful for. This is what I’ve been struggling with a lot lately. Actually, if I’m being honest I’ve been struggling with it a great deal for the last couple of months. For reasons I’m not able to talk about specifically, life has just been really difficult since the end of 2015 and it has all carried over into 2016. Happy New Year, indeed.What’s made it even more challenging is that I’m usually a positive person. I genuinely believe there is always something good to be found if you look deep enough, but oh my goodness I’ve been struggling to find even a glimmer of sunshine in recent months. Both literally and figuratively since winter is still going full force here in the Northeast. So, yeah, aren’t you glad you stopped by here today? I mean, how much more of a downer could I be, right? I promise I’ll turn this post around in just a minute, but life is being a huge jerk right now and I’ve thrown more self-pity parties than I care to admit. I’m totally keeping the tissue company in business, so I guess there’s that. OH MY GOSH, I just did it. I turned it around. That was totally a positive statement, right? Because goodness knows we would not want to see a tissue company go out of business. I feel so much better already. 1.Yesterday’s glorious sunshine and beautiful blue sky. 2. A home with heat because while the sky was gorgeous yesterday the temperature outside was bitingly cold. 3. A wonderful friend who lives in my computer. 4. My dog, Socks, who is always there to offer unconditional love and a couple of warm ears to rub. 5. Coffee because I seriously could not get by in life without my favorite beverage. 6. Just because I feel like I’m on a roll I’m also grateful for being able to exercise because it is most definitely the best way to ease a little of my stress. Okay, your turn. What are YOU grateful for today, this week, this month? I love that you did this! I am grateful for coffee every day – I would be lost without it. Thanks Robin! I have to agree about coffee. It’s something I’m ALWAYS grateful for, too! I love that you did this list. I am grateful for friends who are supportive through the tough times. Ashley @irishred02 recently posted..Get Spring Break Ready with OshKosh B’Gosh! Thank you, Ashley! Friends like that are definitely the ones to hold on to, aren’t they? Especially since they are often so rare to find. What a great idea! For me it’s definitely coffee and my dog, good weather coming, and yes to exercise. I just started in January and I love it. Tamara recently posted..Gardening & Yard Work Fun With Children. Thanks, Tamara! Oh my goodness, that good weather cannot come soon enough for me. Personally, I’d love to skip ahead to June if possible. That is a interesting concept….and I think a good one to start. Thank you, Gloria. It really does force you to look at things differently, especially during an especially challenging time. Thank you so much, Jess. Dogs are such wonderful companions, aren’t they? Mine can be a pain sometimes, but boy he’s always there when I need him most. I love your gratitude journal. It is important to be grateful for all we have. I agree, Rebecca! No matter how tough things may seem there is definitely always something to appreciate. I love the idea of a gratitude journal..today I could use one to switch my focus that’s for sure! So easy to let what’s in front of you impact the way you feel/act and today is one of those days where I should have just stayed in bed! Got one! I’m grateful for my warm and cozy bed and a place to hide when the world gets a little too much. Heather lawrence recently posted..Banana oat cookies perfect for mornings on the run! Aww, Heather. I’m sorry this day is being such a jerk to you, but that bed of yours sounds like a little piece of heaven. I hope you can snuggle into it soon! Thank you for this lovely post. I’m too am grateful for coffee! 😉 I’m also extremely grateful for my health. I’ve been so sick lately and didn’t realize how nice it is to just feel good. Keep it up with your Gratitude Journal. It’s amazing how easily we take the simple things for granted, but that’s one of the things I love most about a gratitude journal. It encourages me/us to look at the good stuff. I’m grateful for the gorgeous spring weather this week. Ooh, I love that Helene! We have some in our forecast and I’m pretty sure it will make it into my journal! I can completely understand getting overwhelmed with negativity when it feels like everything bad keeps happening. It’s brilliant to focus on finding those things we are grateful for each day. I love journaling too! It might not make the bad stuff go away, Jessica, but it definitely helps to recognize there is also some good stuff to be grateful for, too. I love your journal idea! I, too, am thankful for coffee. It is truly a gift! Finding things to be grateful for isn’t always easy. I think it’s beautiful that you put it into words. Alicia Taylor recently posted..March Spring Stitch Fix – What would YOU keep? It is important to take time to express and document all the things we are grateful for on a regular basis. I like that you are dosing this in a journal. Thank you, Janeane. It seemed so simple when I started, but it’s really made a huge difference for me. I have had a stressful and rough week, this is something I think would benefit from doing for sure. Need to start doing this. I’m so sorry you’re having a difficult week, Censie. I truly hope things improve for you soon. Definitely consider grabbing a tiny notebook and consider starting your own Gratitude Journal. I keep mine on my bedside table with a pen so it’s the last thing I do at night and (hopefully) fall asleep having positive thoughts rather than stressful ones. This is a great idea to write a gratitude list! I need to start that! Thank you for inspiring me to do it! You’re welcome, Claudia. I do hope you’ll give it a try. I am grateful for being able to come home to a peaceful house and being able to help out my family & friends. 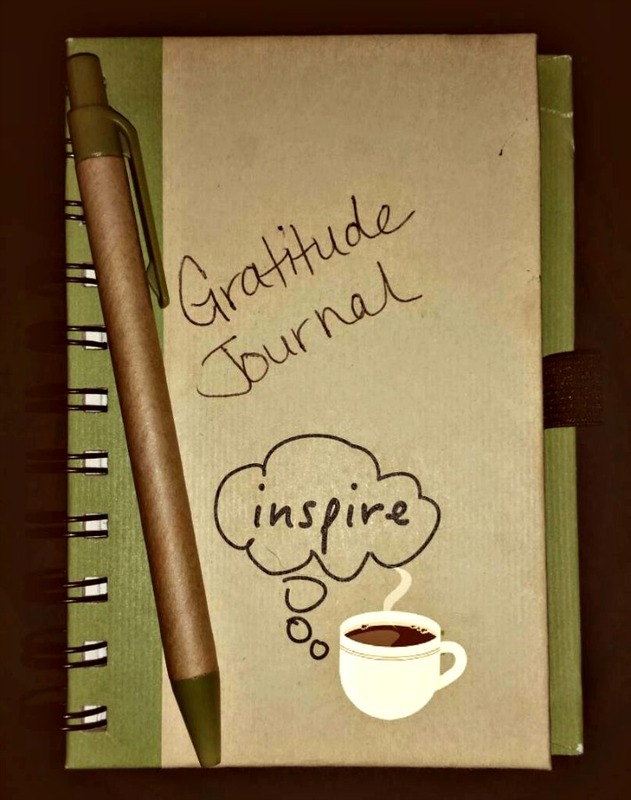 What a great idea it is to start a gratitude journal. I love that, Bri. I bet your family and friends are grateful for YOU, too. Lois Alter Mark recently posted..shout-out to our viking star family! Oh gosh, thank you so much for that comment Lois. I so truly appreciate it. I am grateful that this semester is almost over, I am almost on to vacation season and my kids are happy and healthy!